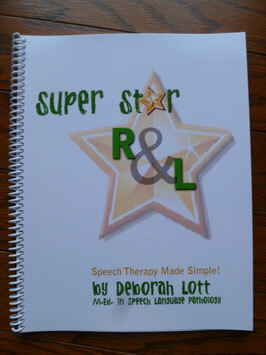 Super Star R & L will aid you in teaching your child to correctly pronounce the R and L sounds. This manual can stand alone for children with one or two speech sound errors or can be used as a supplement to Super Star Speech: Speech Therapy Made Simple, providing additional pictures and activities. All speech therapy materials, activities and games are new and different from those in Super Star Speech: Speech Therapy Made Simple.